Dr Frank Rabe: “Touchscreen infotainment systems even include HVAC controls in many cars in the present day, and now we will see their sizes going up." Kenneth Francis: "We might see a strong demand coming in for different display solutions from the Indian market over the next two to three years." The advancement in software systems and Moore’s law coming true in the case of electronic integrated circuits has led to nano-devices taking charge and replacing a lot of the mechanical systems in modern-day automobiles, be it premium hatchbacks, luxury sedans or sports utility vehicles. Once when drivers could only access general information on very basic instrument clusters, and were all ears to only what blared from the radio player when it came to entertainment, has now all changed. Human-machine interface (HMI) inside vehicles has evolved over the years as the automobile itself has evolved to today come on the brink of a major transformation with electric mobility and autonomous driving knocking hard on the window of future mobility. While today’s instrument clusters are a lot more than telling just the engine’s temperature and trip reading, entertainment, on the other hand, has become infotainment and what used to be all about the pure joy and essence of driving and relishing the time behind the wheel, is now taking a new definition with technology foraying into even the most basic arenas of human life. Continental, one of the biggest global players offering its services in the HMI space, is predicting a major shift in the way data is processed, analysed and presented to the driver and its occupants inside a vehicle, and the company is eyeing a digital transformation of the vehicle cockpit. 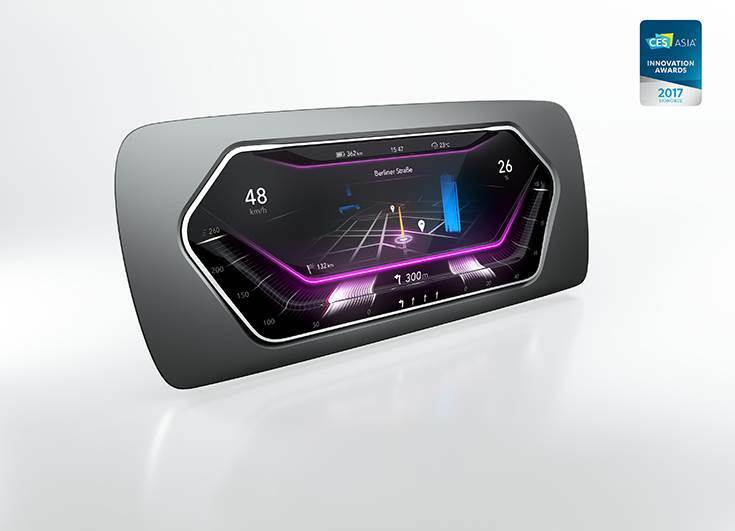 The German giant’s HMI business comprises of input-output systems including instrument clusters, touchscreen infotainment systems, head-up-displays and inside monitoring cameras, which, it says is one of the fastest evolving categories of its product line-up and will see critical application in autonomous vehicles. Dr Frank Rabe, head - Business Unit Instrumentation and Driver HMI, Continental Automotive and Kenneth Francis, head - Segment 1 Asia, Business Unit Instrumentation and Driver HMI, Continental Automotive spoke to Autocar Professional and detailed the trends that are going to shape the future of the insides of a car, so as to make them inviting, appealing, engaging and a safer place to be. With single-DIN music systems getting almost diminished from the market and double-DINs slowly giving way to touchscreen infotainment devices, the future is all about digital touch-pads scattered all across the cabin. “Touchscreen infotainment systems even include HVAC controls in many cars in the present day, and now we will see their sizes going up,” said Dr Rabe. While the Indian market is today hovering around an average seven-inch of touch-screen size when it comes to infotainment systems, developed markets such as those of the US and Europe are far ahead. “I would see 10-inch becoming the sweet spot, but it really depends upon market to market; it is probably too far off in India’s case which is very price sensitive,” he added. Touch-screen sizes are representations of people's lifestyle and so, “if we look at what’s going on in Europe, it is leading with an average ten-inch size, which is set to soon go to 12 and even 14 inches, with the US following close behind,” Dr Rabe added. India, being a very price-sensitive market, also pushes OEMs operating in the country to go cost-effective, so as to survive in an environment of cut-throat competition. As a result, while Continental is locally designing and developing cost-effective solutions for its customers in India, it believes that the market has to evolve upward from the entry-level screens and it will require more of pull from consumers than OEMs driving the trend. “In general, the electronic component present inside cars sold in India is fairly low and while the bigger touch-screen sizes being sold in China, Europe and the US will definitely make their way to India as well, how soon that is going to happen is difficult to predict. Having said that, we might see a strong demand coming in for different display solutions from the Indian market over the next two to three years,” said Francis. “After the consumer demand, it only needs just one player to revolutionise the entire space by playing big on volumes and bringing down costs of these systems,” added Dr Rabe. The company has sensed the need of cost effectiveness of emerging markets such as India and says that it isn’t necessarily working on country-specific solutions as the need for cost efficiency is seen in other regions around the world, for instance in Brazil as well. So, in its quest to cater to a broad spectrum of cost, Continental sees flexibility as a key virtue in today’s competitive business atmosphere. “We want to be local for local. What that means is that while our entire developmental focus might not be in India as we have a bigger global footprint, but the user interface will always be suiting to the taste of the local customer,” pointed out Rabe. “Currently, our customers do like our offerings and we are serving pretty much all major OEMs in India and around the world from volume players to high-end luxury car manufacturers,” added Francis. With regard to its sourcing strategy, as critical electronic components such as VLSI chipsets and processors see their manufacturing foundries being restricted to countries such as Taiwan and Switzerland, Continental works on a global sourcing model for these micro-devices and procures them at mass scale from giants such as Texas Instruments and Intel Corporation. The company, however, has local assemblies to facilitate easier assembly and manage product features better. “Except for some small regions, these microprocessor components are always imported. However, we do have a significant supply-base locally for mechanical parts and we try to do as much local work as we can with domestic suppliers. PCB assembly, injection moulding of plastic parts and final product assembly are almost always done locally, and that is the case here in India as well,” Rabe said. While touch-screens all around might be overkill, the company believes that if the layout is lean, clean and intuitive to use, these systems can prove to be aids to driver concentration on the road than becoming distractions. A head-up display allows just that, and haptic feedback on touch is another means of ensuring safer operation of these modern systems. Cyber security is also another challenge with telematics and vehicle connectivity. Continental’s acquisition of Israel-based Argus Cyber Security, back in November 2017, was a step in this direction, in order to ensure secure data channels for in-car and inter-platform connectivity through its devices. 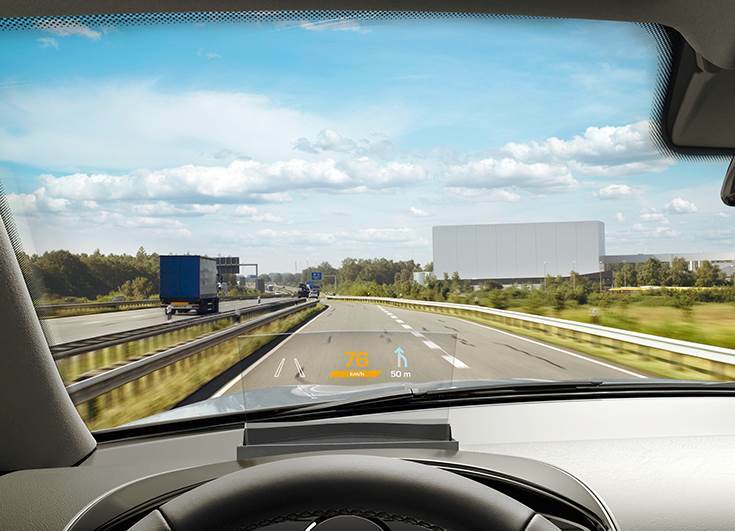 Another of its product lines – inside monitoring cameras – which are going to become mandatory by legislation in case of automated driving is an area which the company is looking strongly towards in order to aid vehicle safety in the coming future. “These cameras are essential in order to monitor the driver, as eventually the driver might need to take over from the vehicle just in case the situation goes out of machine control. The second use case of these cameras will not be just monitoring the driver, but all occupants inside the cabin to know their relative positions to ensure safe vehicle response in a self-driving car, bus or pod. We are focussed to be enabling occupant safety by the virtue of these HMI devices in future products,” said Dr Rabe. With its tech centre in Bangalore buzzing with activity and engineers writing kilometres of lines of code to enable global product development, Continental is bullish on a strong growth curve from the country over the next couple of years, with other regions within APAC expected to remain relatively mellowed. Tough objectives and strenuous targets from its customers are not worrying it, but the company says it is game to take up the challenge to contribute to a better tomorrow and happier motorists.